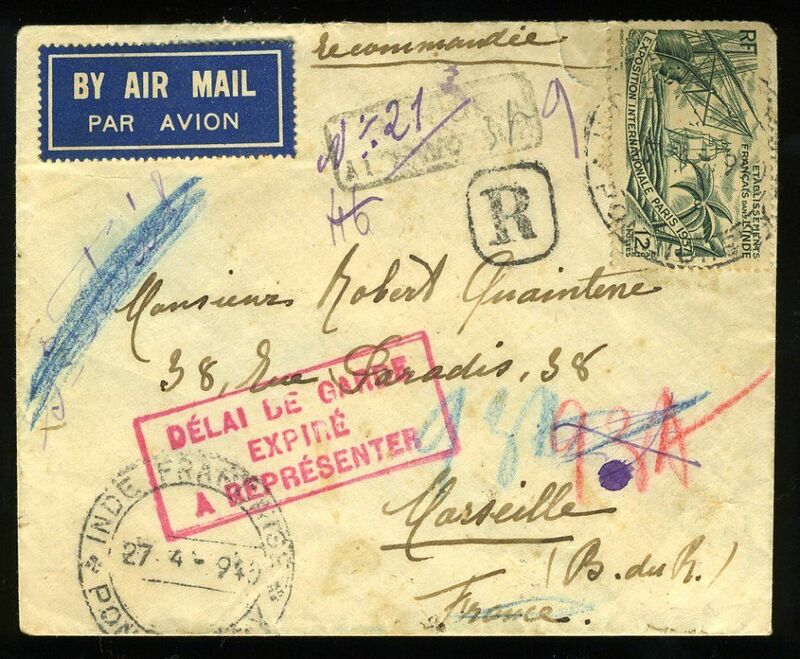 Early WWII uncensored pre Armistice airmail from French India to France, registered (hs) airmail etiquette cover, Pondicherry to Marseilles, bs 7/6/40, franked 1936 International Exhibition Paris 50c, canc 'Inde Francais/27.4.1940/Pondicherry' cds, fine strike red framed "Delai de Garde/Expire/a Representer' hs ( Extension Time for Safekeeping has Expired), faint black boxed 'Return to Sender' hs. French rule continued until 31 October 1954. Scarce WWII airmail.